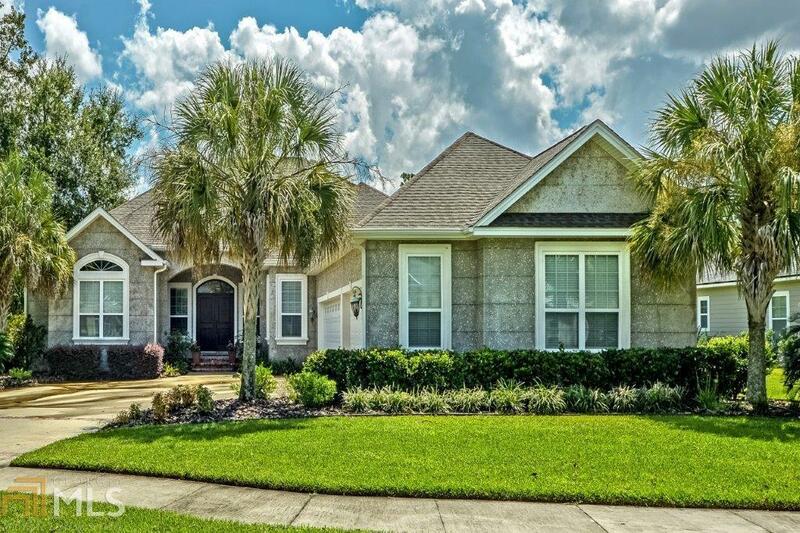 EXCEPTIONAL FOR ENTERTAINING 4/3 SPLIT PLAN HOME WITH A 3 CAR GARAGE IN GORGEOUS, GATED FIDDLERS COVE COMMUNITY. BOASTING NEARLY 2800 SQ FT (TBV), THIS HOME FEATURES A GOURMET KITCHEN INCLUDING AN ISLAND W/ PREP SINK, GRANITE COUNTERS, & A GAS COOK-TOP. THE SPACIOUS FAMILY ROOM FEATURES A GAS FIREPLACE WITH BUILT-INS & A VIEW OF THE LAKE. THE OVERSIZE OWNERS RETREAT INCLUDES A TRAVERTINE WALK-IN SHOWER, SEPARATE JETTED TUB, & SIZABLE WALK-IN CLOSET. THE LOW-MAINTENANCE TABBY EXTERIOR FEATURES A COVERED PORCH & PATIO WITH A VIEW. THE IRRIGATION SYSTEM USES COMMUNITY WATER TO KEEP YOUR BILL LOW! FIDDLER&apos;S COVE IS LOCATED NEAR SCHOOLS, SHOPPING, DINING, I-95, & KINGS BAY SUB BASE. COMMUNITY FEATURES INCLUDE A POOL, TENNIS COURTS, & A PLAYGROUND.